JUST LISTING #47-45175 WELLS ROAD, CHILLIWACK - WELLS BROOKE Don't miss this spotlessly clean, nicely update and very well maintained home in desirable Wells Brooke. 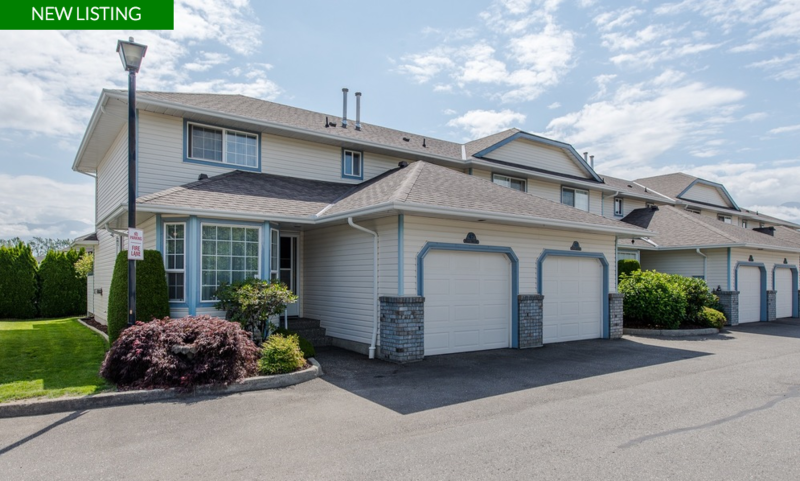 Just some of the features of this adult oriented home include air conditioning, updated appliances, flooring, paint and light fixtures, newer hot water tank and an Acorn stair lift (with warranty) for easy access to the upper floor. You'll also find a fully enclosed garage for your car and a massive crawl space for additional storage. The quiet and private back yard patio is perfect for relaxing and includes an aluminum awning for protection from the sun and rain. Wells Brooke is very well maintained with a newer roof and strong contingency reserve fund. The complex offers peace and quiet yet is close to all amenities.